Olio&Olive gift boxes and Italian gift baskets are filled with our most essential items and favorite Italian gourmet products. Choose from a whole list of gift ideas to find the perfect present for your friends, family, co-workers. 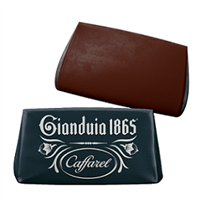 You love receiving Italian gourmet food products – so will they! Choose from a whole list of ideas to find the perfect present for your friends, family, co-workers or just about anyone you need to send a special thank you to. 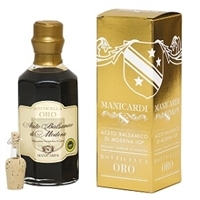 From important bottles of aged balsamic vinegar to our olive oil tasting kit, there is an epicurean delight at every price range to make someone very happy. 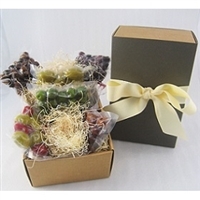 And to really make an impression, the Olio&Olive gift boxes and Italian gift baskets are filled with our most essential items and favorite gourmet products such as Caffarel chocolates and Tartuflanghe truffle spreads that will have them raving about your generous offering for a long time to come! 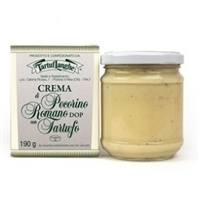 Tartuflanghe Parmigiano Reggiano And Truffle Cream 190gr. 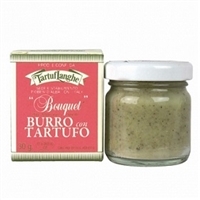 Tartuflanghe Pure White Truffle 99% Cream 30gr.